Bad guys win every day. And this November, that day has come for this team of villains. 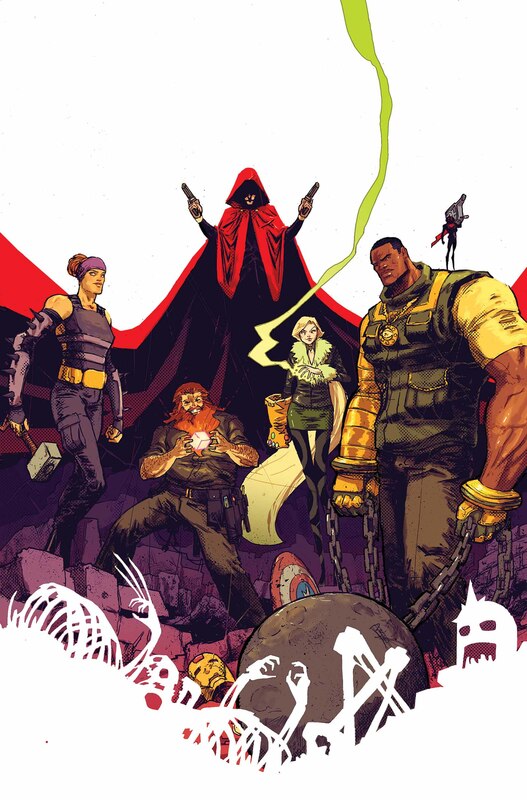 Today, Marvel is pleased to present your new look at ILLUMINATI #1 – the new ongoing series from writer Joshua Williamson and artist Shawn Crystal! How do the villains of the Marvel Universe live in a world where the sky is constantly filled with heroes? What do they do when they want out of a life of crime? There is no way out. No future. Till now. Who saves the villains? The Hood does. And he wants everyone to have a place at the table. But first things first – he needs an army. With Titania, Mad Thinker, Thunderball, Black Ant and Enchantress at his side – the Hood might just have all the muscle he needs. They don’t want to just survive – they want to thrive. By any means necessary. Be there as a new team of villains is formed this November in ILLUMINATI #1!